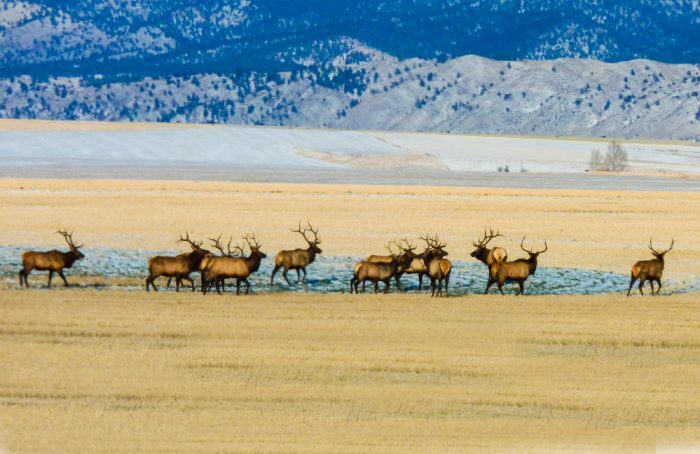 Dean Leiniger of Billings took this photo the first week in December AFTER (of course) the general elk hunting season ended. These boys were hanging out just along the highway near Townsend, Montana. What a sight!